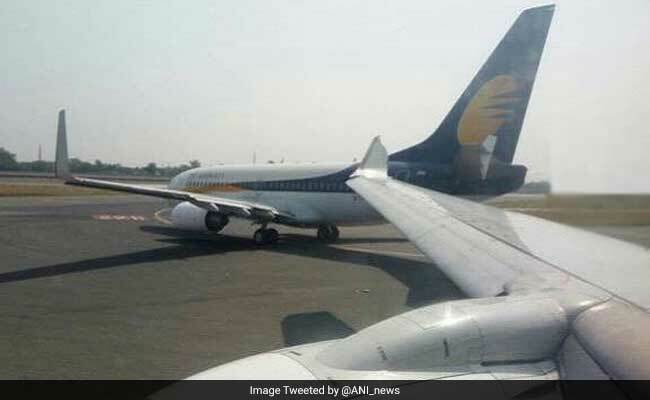 New Delhi: Jet Airways is in discussions with a few foreign airlines and private equity players for raising funds by selling stake, investment banking sources said. The leading full service airline, where Abu Dhabi-based Etihad Airways already has 24 per cent strategic stake, has been looking to raise funds for expanding operations. The airline has already appointed an investment banker to explore various options for raising fresh funds, including through possible stake sale, the sources said, requesting anonymity as discussions are at an exploratory stage. The sources also said that initial discussions are going on with a few foreign carriers apart from some private equity firms. Queries sent to a Jet Airways spokesperson remained unanswered. filing to the stock exchanges on July 3. Last week, Etihad Airways had told PTI that it is committed to the strategic partnership with Jet Airways that continues to be strong and healthy. "We remain committed to our strategic partnership which has grown to become the largest carriers of international traffic to and from India with one in five passengers flying with Etihad Airways and Jet Airways. "Together, we operate 257 services each week, each way between Abu Dhabi and 15 cities across India," an Etihad spokesperson had said. Jet Airways flies to 65 destinations, including in the Middle East, Europe and North America. It has a fleet of 113 aircraft. The carrier has code share pacts with various international airlines, including Delta Air Lines, KLM Royal Dutch Airlines and Air France. Amid tough business conditions, the airline saw its consolidated net profit slump nearly 95 per cent to Rs 23 crore for the three months ended March 2017.